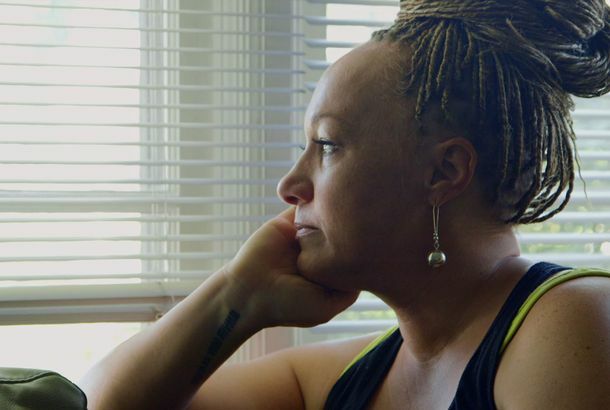 Netflix’s Rachel Dolezal Documentary Comes Down Hard on Its SubjectThe filmmakers even discussed leaving her out of the film entirely to focus on Dolezal’s ability to stir outrage. Watch the Exclusive First Clip for the Rachel Dolezal DocumentaryThe Rachel Divide focuses on the civil-rights activist who was unmasked as a white woman passing for black. Maya Rudolph Played Rachel Dolezal on Late NightOh, how SNL has missed you. Mayor Says Rachel Dolezal Must Resign From Police Commission; She RefusesAfter a report accused her of bias and harassing a city worker. Everything Rachel Dolezal Has Said About Her IdentityShe’s explained that she considers herself black, but the rest of her story keeps shifting. Rachel Dolezal Tells the Today Show ‘I Identify As Black’Dolezal broke her silence Tuesday in an interview with Matt Lauer. Rachel Dolezal Sued Howard for DiscriminationThe suit claimed she was denied a teaching position at the historically black college because she was white. Rachel Dolezal Attempts to Postpone NAACP Meeting to Discuss ControversyOther NAACP leaders aren’t having it. Let’s Enjoy the Best Rachel Dolezal Jokes While We Await the Hot TakesTwitter was simultaneously at its best and worst last night. Spokane NAACP Leader Is Pretending to Be Black, According to Her ParentsThey say the Africana studies professor is actually Caucasian and told many other lies.